Did you know that it is National Library Week this week? All over the country, we are celebrating the cornerstones of our communities: the local public library! There are very few places in the world where you can find a place that provides such a wide variety of services and which welcomes everyone through its doors. Whether you are looking for a new bit of non-fiction, looking to get help downloading the ebook of your favorite novel, need a document notarized, or are just looking to unwind and watch a dvd or play some roblox, your local library has you covered! We are air conditioned in the summer, heated in the winter, and have meeting rooms, diverse programs (like our Urban Gardening class on Thursday – there’s still room, so call and register today! ), and access to all the information and knowledge ever conceived – and all at your fingertips in the East End. And if that wasn’t enough, we also have a job opening! Our Children’s Associate position will be posted for the rest of the week, so if you have at least a Bachelor’s Degree, love working with kids, and want to make a difference in your community, we want you to apply! Some library experience is preferred, and a Master’s in Library Science is a bonus – but not required. There’s never a dull moment at a public library, so if this sounds like something you or someone you know would be interested in, we would encourage you to go here to apply and join our fantastic team! 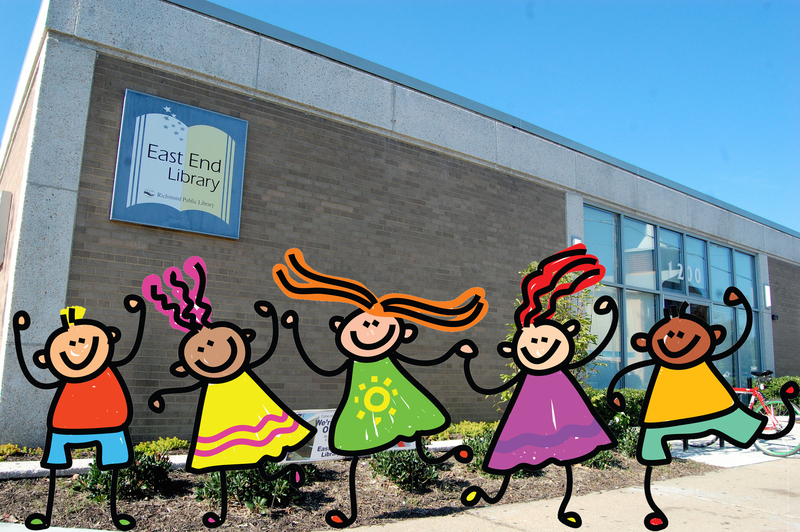 So this week, please come to the East End Branch and help us celebrate all the things that make Libraries and incredible part of your neighborhood. Check out a book, add a square to a neighborhood quilt that we’re making, or just stop in and say hello – because we’d love to see you.